Since the early days of gaming, people have always clamored for the visuals. This has proven to have its drawbacks – as is evidenced by the “Bit Wars” of the 1990s, or the “PC master race” crowd – but there is something to be said about a game that’s just pleasing to look at. Now, that doesn’t mean “realistic graphics = good graphics” (yet another blinded mindset many gamers follow on the subject), there are plenty of games that we once thought looked realistic that now look laughable. But if a game’s visuals can go above and beyond what they set out to do – whether it’s realism or a fanciful art direction – it can help a game standout and (usually in the case of the latter category) help it hold up over time. It should be a surprise what 2017’s best game to look at was. I was tempted to simply write “It’s Cuphead lol” and leave it at that, but I suppose I can’t always be the jokester. Some additional description can go a long way. In all honesty, how much do I really need to say? Just look at any screenshot or (better still) watch some footage of Cuphead, and it’s an utter delight for the eyes. Cuphead sought to replicate the look of 1930s cartoons, and it got the look down pat. The hand-drawn characters and environments are stunning to behold, and watching it all in action showcases a fine attention to detail and visual polish that few games can compete with. 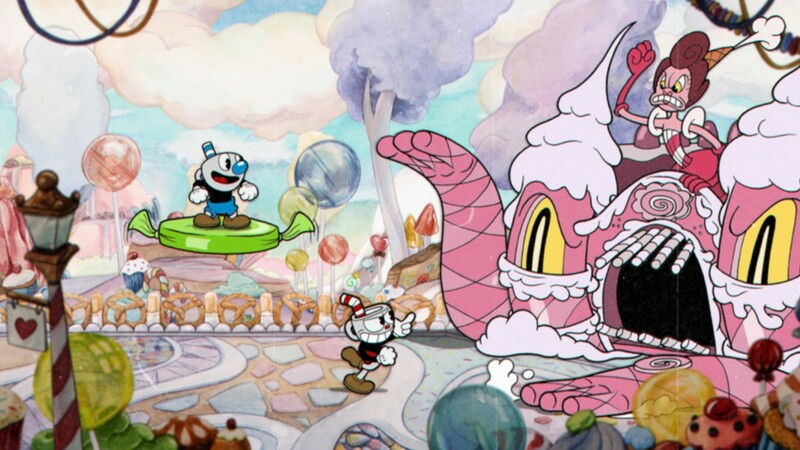 Amidst all of its chaos and mayhem, Cuphead proves to be something beautiful. A testament to the timeless quality of hand-drawn animation, and a reminder that even the most silly and surreal concept can be a work of art. Wizard Dojo’s video game awards continue with the Best Visuals category. Yeah, I think Cuphead is a fair shout. There’s not much else that can match it in terms of style. It’s utterly unique!